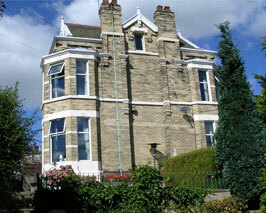 Coniston Guest House is a Victorian house built in 1902 offering Bed & Breakfast accommodation. Situated in the residential area of Hillsborough and although very close to amenities it provides a surprisingly quiet and restful retreat. Alternatively, use our ‘contact us’ page to send us a message.